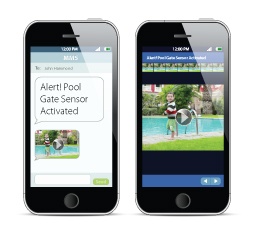 Peace-of-mind with notifications delivered via cell phone, tablet or Internet anywhere you are. 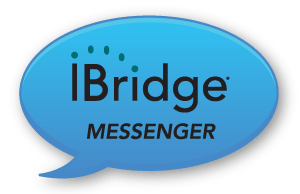 Simplify and secure your life by staying in touch and in control anywhere you are using the iBridge app on your smart phone or tablet with iBridge Connected Home Services. Get Live Video Alert “Message/Notifications” on the events you choose and see pre- and post-video clips of the events/alarms as they unfold right in the multimedia text (MMS). See what’s happening at your front door. Great to look in on kids returning home, deliveries & alarm events as they happen. Receive emails, texts and video notifications if your security system is unexpectedly turned off or set off. Feel safe and secure whether you are home or away by making iBridge Connected Home Services part of your security system. Great to look in on kids returning home, deliveries & alarm events as they happen. For more information contact one of our security professionals today! Copyright 2014, Napco Security Technologies, Inc. All rights reserved.